Sapidus Farms began in 2009 with a few oyster floats and a love for the water. We engage in environmentally friendly practices that produce a plump and happy oyster while preserving the bottom of the Bay and cleaning the water. Our oysters are delivered weekly to the top restaurants in Maryland and DC. We also offer a Farm-to-Party oyster bar for your special event. 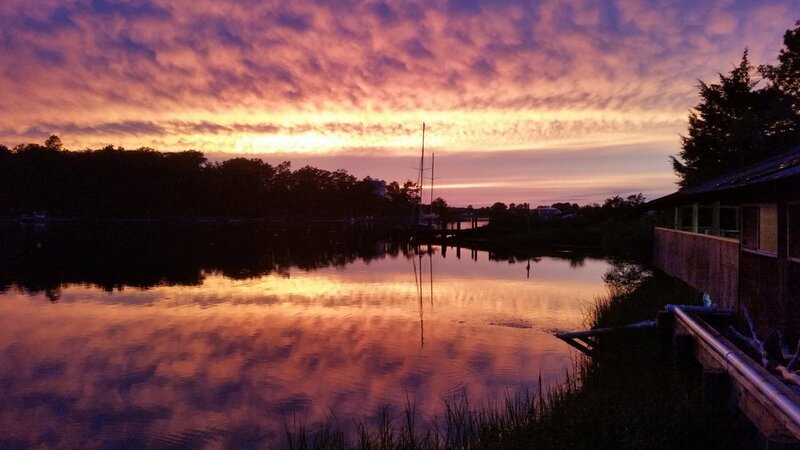 We are located in the Northern Neck of Virginia along the pristine waters of the Great Wicomico River in the mouth of Tipers Creek. This unique location enjoys great surges of water as the tides move in and out and is ideal for producing healthy delicious oysters. We are dedicated to providing you with the most delicious oysters available. We provide care for your oysters from the time they are larvae until we deliver them to you. This gives us the ability to ensure your oysters are properly handled throughout their growth, harvest and distribution. We harvest every week, year round, guaranteeing your oysters are delivered at their freshest. Sapidus Farms' Oysters have a rich, clean flavor. They are mildly briny with easily distinguished cream or butter flavors and a pleasant slight minerality. They have been described as a “triple threat” by chefs, as they have the plumpness, brininess and clean oyster flavor that one should seek in a perfect oyster. Here at Sapidus Farms we are committed to producing the plumpest, most delicious oysters the Chesapeake Bay has to offer. Our oysters are raised in protective cages above the sandy river floor; a technique that allows us to produce an extremely clean, fat and happy oyster. When our Happy Oysters have reached a market size they are brought back to the dock and kept in floating cages for a final “flush” before going out for consumption. On delivery day, the market oysters are pulled from the water, tagged, and then placed in our refrigerated delivery van and taken up the road. Harvesting and delivering on the same day ensures the freshest possible product.